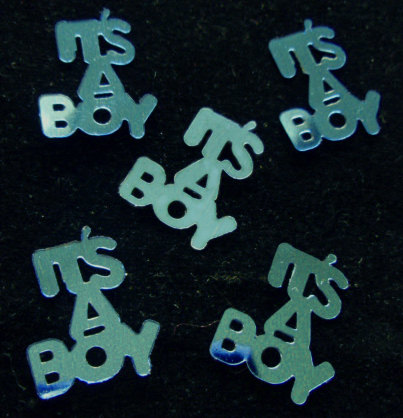 These soft blue "It's a Boy" confetti's make party planning fun. Color in this photo is off. They are sky blue. 1/2 oz bag. Price is for one bag. If used to sprinkle around centerpieces, one bag does 2 1/2 tables. Regular price is $2.25 per bag. 41 bags available.